Red potatoes are another way to get some variety into your diet. It is good to mix up the colors of your vegetables from time to time. However, what I love the best about red potatoes is their small size. 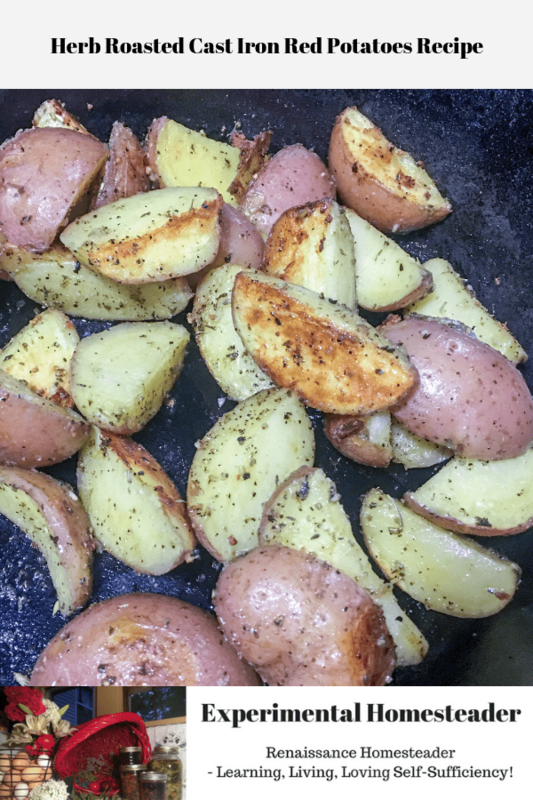 Simply cut them into quarters and toss them into the cast iron skillet and you end up with roasted potatoes that fit perfectly on the end of a fork. Roasting red potatoes in a cast iron skillet also means easier clean up because properly seasoned cast iron is non-stick. The other thing I really love is that this recipe is so versatile. 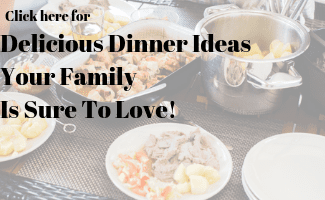 I included the instructions below for making these in an oven, however they are just as easy to make on a BBQ grill, over an open fire or on top of a stove or wood burning stove. 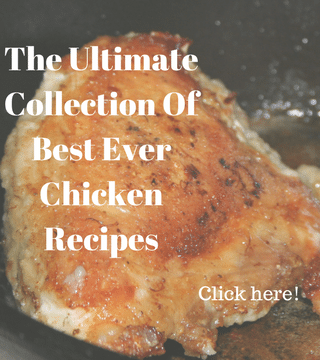 Best of all, as long as you know how to control the temperature of the heat on the BBQ grill, open fire or wood burning stove the cooking time is exactly the same. On top of a stove, I recommend a medium heat setting. Wash and quarter the red potatoes. Place the cut up red potatoes in a cast iron skillet. Drizzle the olive oil over the top of the red potatoes. Sprinkle the garlic powder, salt, pepper and herbs over the top of the potatoes. Do not stir the potatoes to mix everything up! Place the cast iron skillet on the lower rack of the oven. Turn the oven on and set it to 350 degrees Fahrenheit. 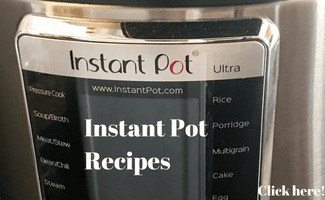 Once the oven is preheated, set the timer to 25 minutes. When the timer goes off, remove the cast iron skillet from the oven and stir the potatoes. Return the cast iron skillet to the lower rack of the oven and set the timer for 20 minutes. When the timer goes off, remove the skillet from the oven and serve immediately. 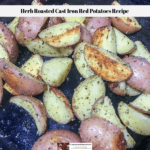 As far as I am concerned, making an easy, delicious side dish that goes so well with meat simply does not get any easier than this cast iron red potatoes recipe. Of course, you can adapt it so it works with any type of potatoes you have on hand. For smaller potatoes, I would either leave them whole or check them after about 30 minutes of cooking. Cut larger potatoes into smaller chunks or simply plan to cook them slightly longer. I would estimate Russet potatoes that are quartered would need to cook for about an hour. 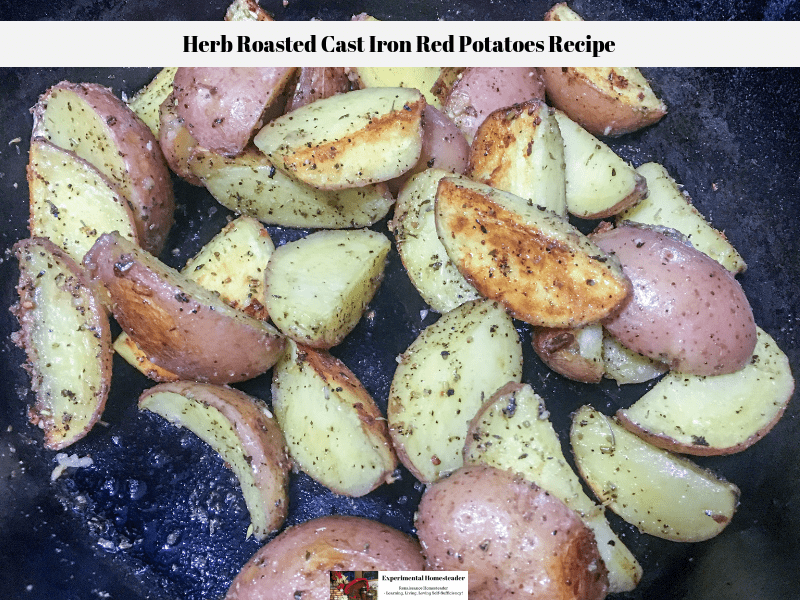 Another possible adaption for this cast iron red potatoes recipe is to try different herbs. Some herbs that work well with potatoes include thyme, rosemary and parsley, to name just a few. 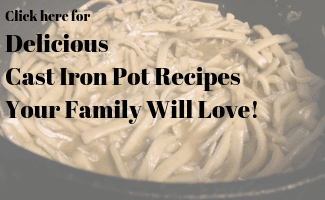 I hope you enjoy this recipe and do feel free to leave comments below.